Taking part in a Group Trip to Jamaica on a Medicine Project will provide you a full experience where you will learn much about medicine and healthcare in a developing country. Jamaica is a unique destination. With a rich cultural heritage, beautiful beaches and people who will capture your heart, you will have much to tell your friends and family when you get home. Jamaica was one of the first countries in the world to establish a national health service, so volunteers will find medical facilities here are of a good standard. On this project you can shadow doctors and nurses in a variety of clinical settings. These include hospitals, community health centres, infirmaries, residential care facilities for the elderly and disabled, and on community outreaches. You may also have the chance to see lab work, the hospital pharmacy and the x-ray department. As medical volunteers, you will help promote awareness of non-communicable diseases, improve access to basic healthcare for disadvantaged groups and improve the quality of healthcare provided to patients.You will also have plenty of opportunity to ask the doctors questions and discuss procedures with them. Volunteers on the project may also have the opportunity to help on a medical outreach project, or a community healthcare clinic, where you will help with basic observations and procedures including weight, height, blood pressure, and first aid responses. These are also intended to help with medical screening, health education and routine medical tests for patients in communities where access to healthcare may not be available. When in Jamaica, groups will stay in an apartment or hostel. 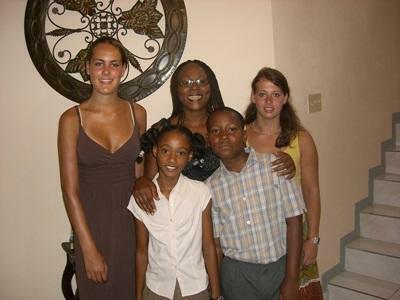 You will have plenty of time to steep yourself into the colorful Jamaican culture with organised trips and activities. You will be able to go to a quintessentially stunning Jamaican beach, dance to the Reggae beat, and partake in traditional Jamaican cuisine.